Do you love to sail? Do you love the aesthetic of the anchor provided to sail boats as they dock into shore? If you answered either of those questions with so much as a maybe, then this nautical sticker might just be the one for you! 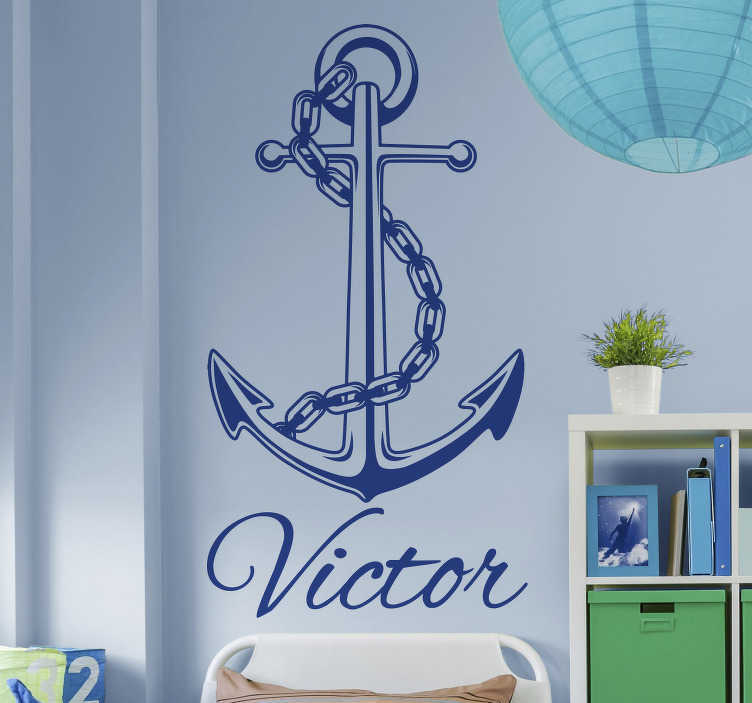 And there´s more - This is a customisable wall sticker, meaning that you can add whichever text you would like, as well as changing the colour to anything you would like!